The Home Office is to introduce a new system of regulation for private investigators to protect the public from unscrupulous activity. 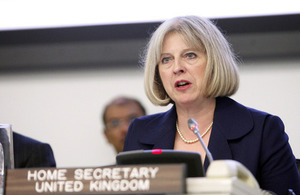 Operating as an unlicensed private investigator will become a criminal offence, Home Secretary Theresa May announced on Wednesday (31 July). The current arrangements, under which the system is not regulated, allows anyone to work as a private investigator, regardless of their skills, experience or criminal convictions. This presents a high risk of rogue investigators unlawfully infringing on the privacy of individuals. It is vital we have proper regulation of private investigators to ensure rigorous standards in this sector and the respect of individuals’ rights to privacy. That is why I am announcing today the Government’s intention to regulate this industry, making it a criminal offence to operate as a private investigator without a licence. Anyone with a criminal conviction for data protection offences can expect to have their application for a licence refused. Journalists will be excluded from regulation to allow them to carry out legitimate investigations in the public interest. undergone a thorough criminality check. As with other sectors of the private security industry, all applicants will need to meet these standards in order to receive a licence. This includes any contractors working on private investigations for companies. The regulation of private investigators will be introduced as quickly as possible and the new regime will begin next year. The maximum penalty for working as an unlicensed private investigator or supplying unlicensed investigators will be a fine of up to £5,000 and up to six months in prison.